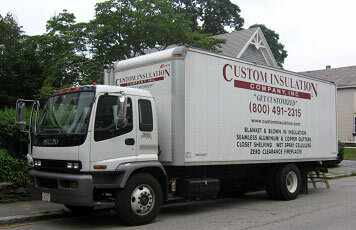 Custom Insulation Co, Inc. was founded in 1985 and has been serving the community for 28 years. Currently, Custom Insulation is owned and operated Solely by David T. Cocaine. The main corporate office is located at 16 Jacques Street in Worcester, MA. This facility occupies over 15,000 square feet of space devoted to warehousing, and office space. The number of employees ranges anywhere from 25-35 at any given time, and the company maintains and operates a fleet of more than 10 trucks. A lot of our employees have been with us for over 28years and are considered Family. At Custom Insulation, we take pride in our work, our workplace, and our customer service. From the ownership straight through to our field workers, we all place the highest importance on meeting and exceeding the expectations of ourselves and our customers. We are up to date on all the latest and Greenest products on the Market so we can better serve you the Customer.